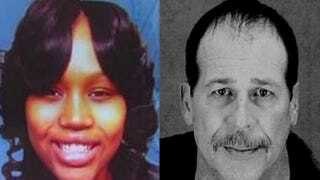 Wayne County Circuit Judge Dana Hathaway ruled Friday that a jury would not be allowed to see certain text messages in the trial of a Dearborn Heights, Mich., man charged with the fatal shooting of 19-year-old Renisha McBride, the Detroit Free Press reports. “They are just unfairly prejudicial,” Hathaway said of McBride’s texts, which attorneys for Theodore Wafer had hoped to use in their argument that he acted in self-defense when he shot and killed the unarmed woman on his porch Nov. 2, the report says. Wafer’s lawyers say they have obtained text messages and cellphone pictures that show McBride was a marijuana dealer who often got into trouble. They hope to lay out a case showing she was not the “meek and mild” person the prosecution is trying to portray her to be, the report says. Text messages on McBride’s cellphone allegedly showed she was out dealing drugs when she showed up on Wafer’s porch, the Free Press reports. The shooting generated an outcry among some black leaders and politicians, who thought Wafer would not be arrested or charged. McBride’s shooting came less than four months after George Zimmerman was acquitted by a Florida jury in the 2012 shooting death of 17-year-old Trayvon Martin, who was unarmed. Wafer is charged with second-degree murder but says he fired his shotgun in self-defense. His trial is set for July 21.